Eddie Barnett, of Waynesboro, PA, died Sunday, August 19, 2012. Born August 15, 1956 in Sioux Falls, SD, to Tom and Dorothy (Lieurance) Barnett. He graduated from Oâ€™Gorman High School in 1974 and attended USD. He proudly served in the U.S. Army. Eddie married Sandi Diller in 1986. He was employed at McLaughlin's Heating Oil, Waynesboro. Eddie was very active in the Pen Mar Youth League for 18 years where he coached teams, served as team manager, and was Vice President for a number of years. He spent countless hours grooming the fields and announcing games. Eddie was instrumental in creating the â€œChallenger Leagueâ€� - a softball program for kids with disabilities. He had a passion for helping kids achieve their best as players. Eddie convinced the Extreme Makeover: Home Edition television show to build a home in his community for a family in need and had a huge heart for helping others. 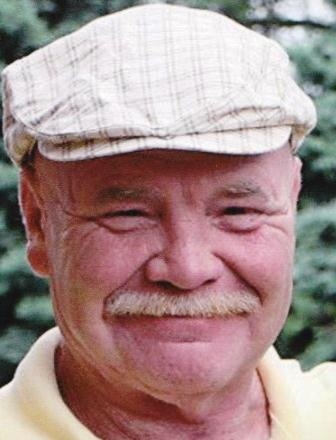 He enjoyed golf, softball, his dog, Heidi, and he faithfully followed Oâ€™Gorman Knights athletics even though he moved away decades ago. In addition to his wife, he is survived by one daughter, Shannon; sisters: Jeanne Kangley, Mary Pierce and Carol Nesbitt, all of Sioux Falls; brothers: Tom Barnett of Pierre, SD, Max Barnett of Sioux Falls, Mark Barnett of Pierre, Andy Barnett of Kingwood, TX, Jerry Barnett of Wagner, SD, Jeff Barnett of Palo Alto, CA and Greg Barnett of Sioux Falls; and many nieces and nephews. He was preceded in death by his parents and a brother, Michael. Memorials may be made to Special Olympics or Sioux Empire Baseball Associationâ€™s â€œMiracle Leagueâ€�. Services will be held at 2 PM Thursday, at Grove-Bowersox Funeral Home, 50 S. Broad Street Waynnesboro. A private family burial will take place.